President Donald Trump’s longtime lawyer Michael Cohen wanted to run for New York City mayor after his boss won the presidential election. He ended up not doing so. Now Cohen is under criminal investigation. 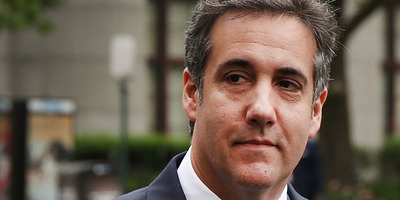 President Donald Trump’s longtime lawyer Michael Cohen wanted to run for mayor of New York City after his boss won the 2016 presidential election, Axios reported Sunday. He eventually opted against doing so, and told the publication that he actually thinks New York’s Democratic mayor Bill de Blasio is doing pretty well. Axios reported that soon after Trump’s team realised he would win the presidential election on that November night in 2016, Cohen told some people in Trump Tower that he dreamt of becoming New York City’s mayor. “I think I’m going to run for mayor,” he reportedly continued. A second source told Axios that, in the months after the election, Cohen asked them for advice on setting up a campaign to run for mayor. Cohen, who as recently as 2016 was a registered Democrat, did not end up challenging De Blasio in the 2017 election. Now, Cohen is under criminal investigation in the Southern District of New York for possible campaign-finance violations and bank fraud following the FBI’s April raids on his home, office, and hotel room. He has not been charged with a crime.